Animals - Insects Spiders etc. All the insects in the garden, from ten little black ants down to one tiny flea, get involved in moving a fallen cucumber. 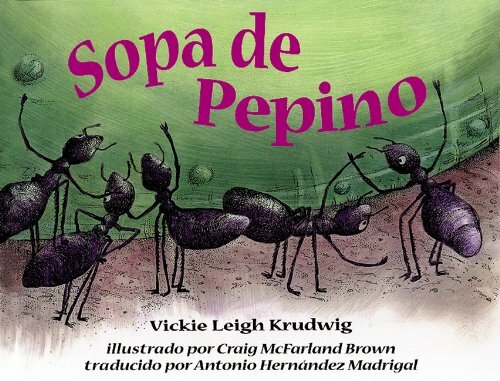 Includes a recipe for cucumber soup and factual information about the insects in the story. About Vickie Leigh Krudwig (Author) : Vickie Leigh Krudwig is a published author of children's books. Some of the published credits of Vickie Leigh Krudwig include Searching for Chipeta: The Story of a Ute and Her People, Cucumber Soup.